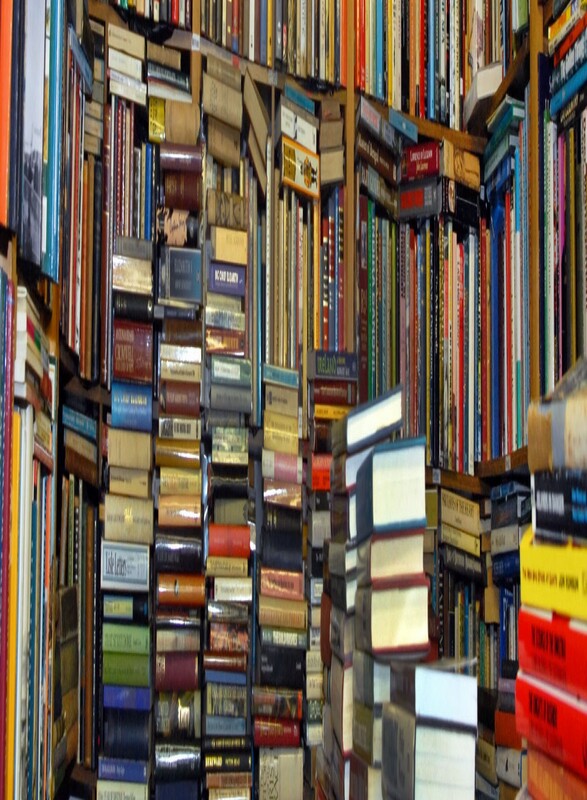 What would a book reviewer be if she didn’t have bookshelves to show off? 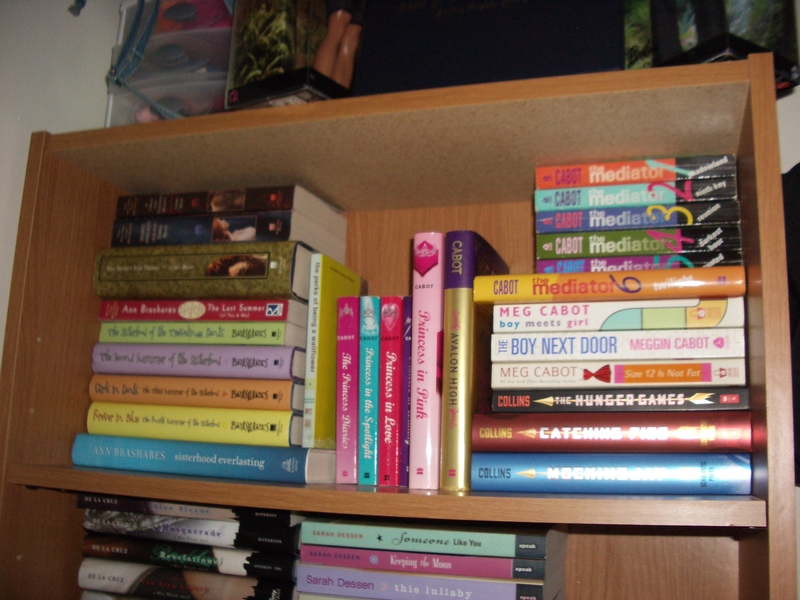 So here are my ‘shelvies:’ The first picture as you can see is the whole bookcase. 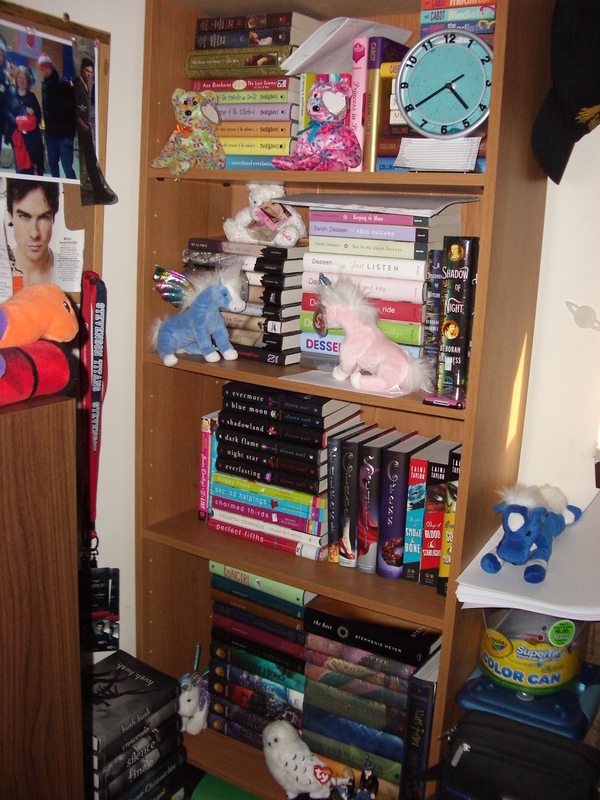 It sits in the corner of my room – and my room is sort of cramped, so sorry for the crappy picture – and is packed to the brim with books. Except the last shelf there at the bottom – that one has binders, some old school textbooks, and the boxed set of a certain vampire series. 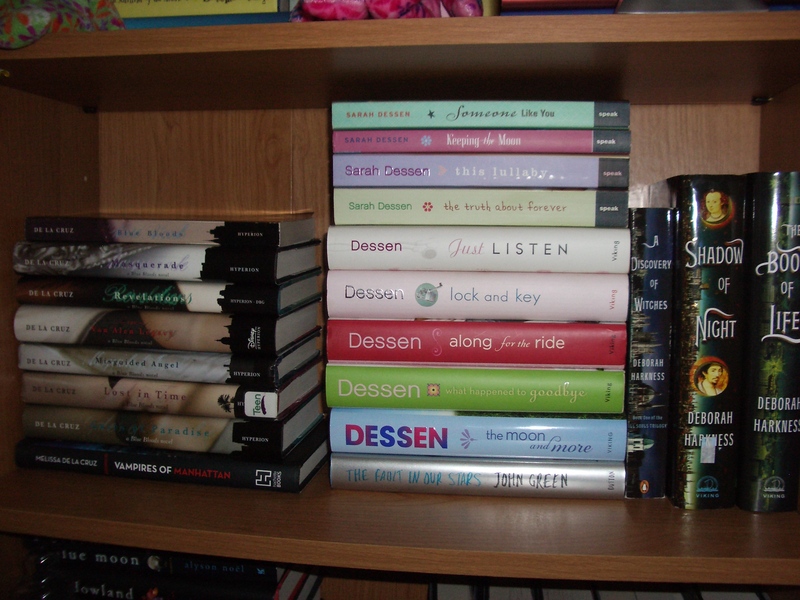 Does anyone else find it easier to stack books then to actually have them the way they’re supposed to be? You get more room and you can keep series together. This shelf makes me smile because everything is supernatural/paranormal except for the middle stack which is one of the few chick-lit, realistic fiction books I have. New additions include Vampires of Manhattan and The All Souls Trilogy. I’m not sure if I really like this shelf, but for now this arrangement works. New additions include the Jessica Darling It List novels and Fairest. 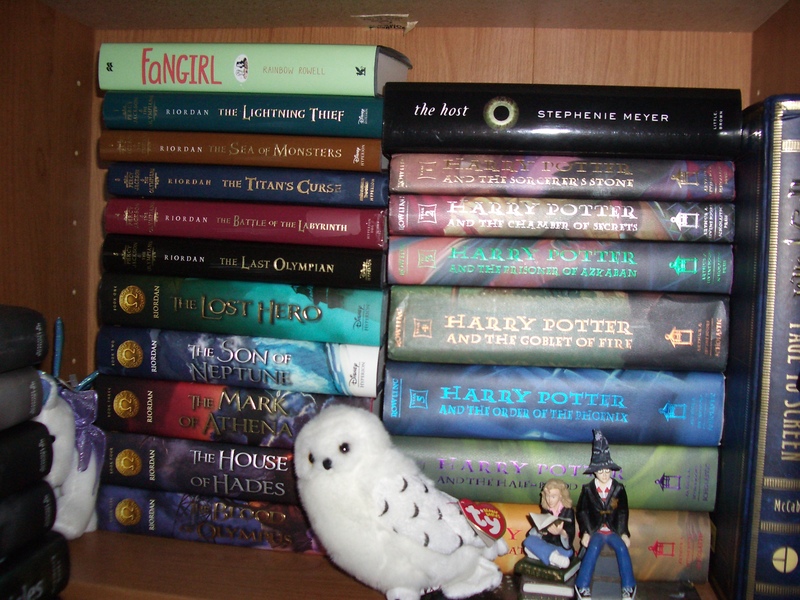 Percy Jackson & the Olympians and The Heroes of Olympus series moved back to this shelf. New addition of Fangirl. So I got rid of the little table and started stacking on the floor. 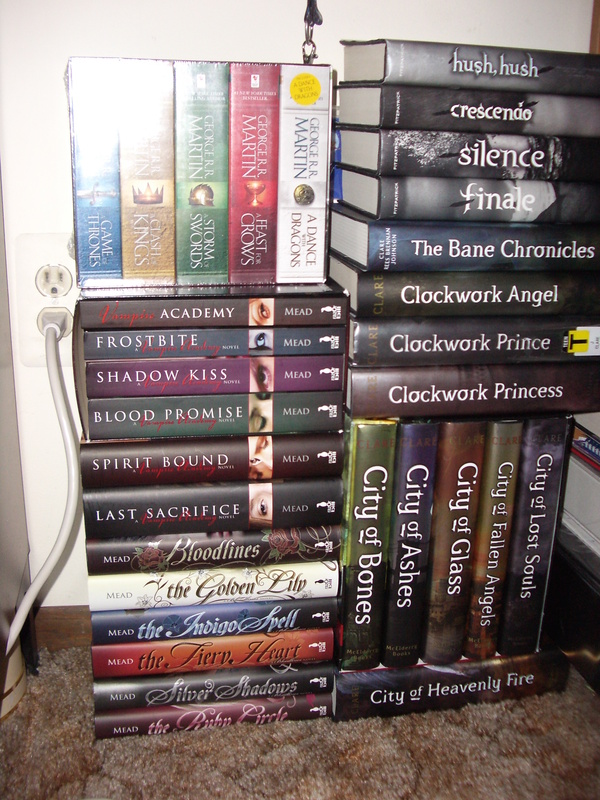 I’m keeping all of Cassandra Clare’s series together. 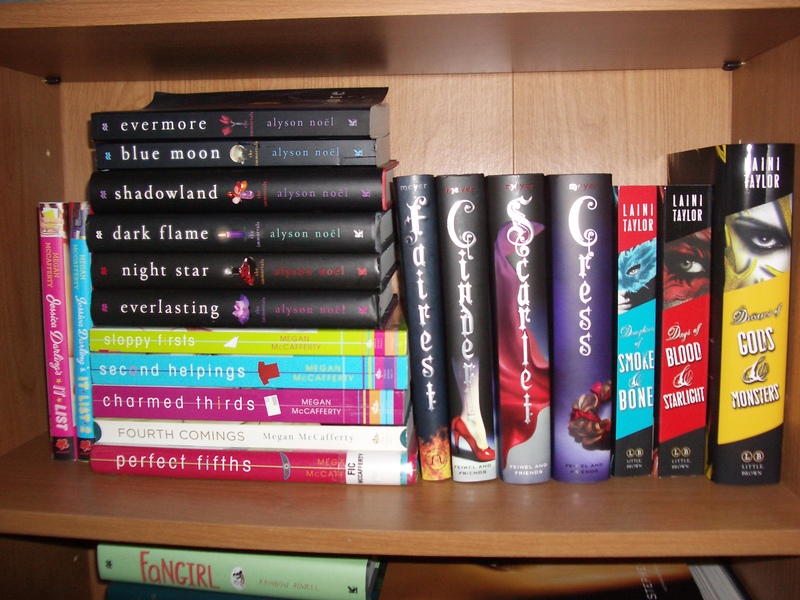 The Hush, Hush series got moved to this corner. The Bloodlines series joins the Vampire Academy series, and you still have the Song of Ice and Fire box set. New additions: The Bane Chronicles and The Ruby Circle. 1 Response to What’s on My Shelves?